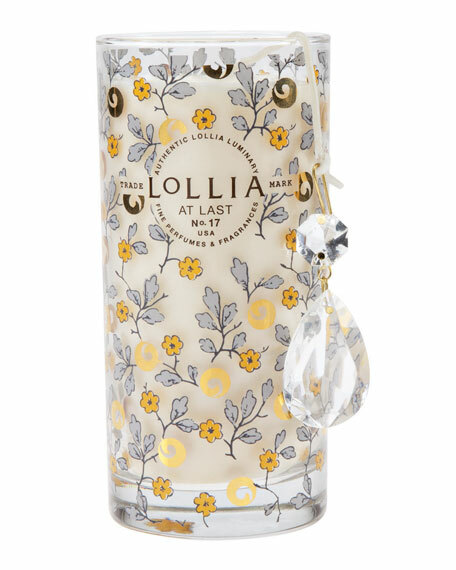 Soft and simply captivating, the LoLLIA At Last scent features a light floral celebration of powdery rice flower perfectly paired with lovely, southern magnolias and demure mimosa. Real gold flourishes dance across a field of sunny yellow blossoms. Complete with LoLLIA's iconic hanging cut glass crystal. Soy wax blend. 10 oz for approx. 56-hour burn time.